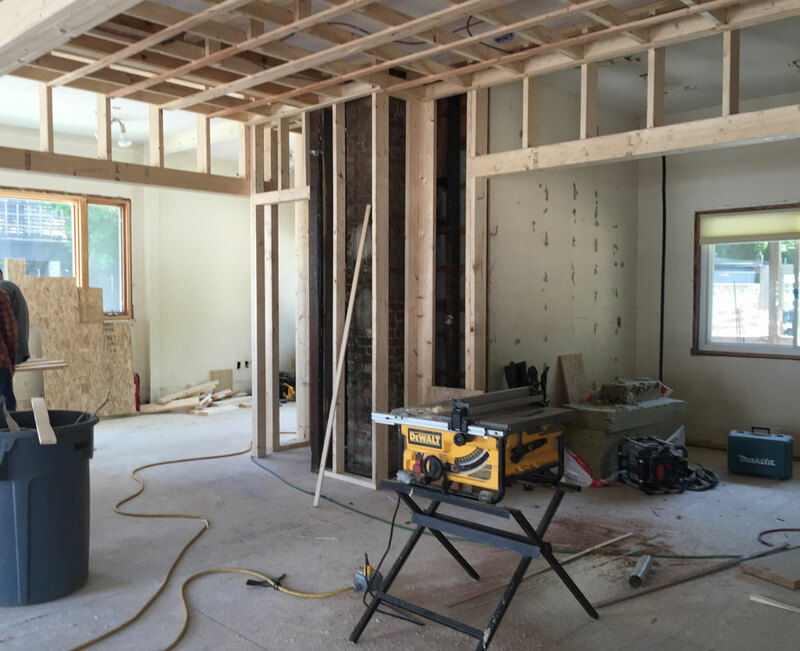 Spring is in the air and that means we’re busy finishing summer homes for the now in-sight season. I admit, I love this next six week period leading up to Memorial Day. A deadline junkie, I thrive in the final days of finish construction. We’re up to our necks in finishing details, questions, problem solving and client pleasing. And the builders, artisans and craftspeople we rely on are right there with us. These are the days that test productive collaborations. Inevitably what binds us during trying moments is our shared unending commitment to quality – even in the face of a looming deadline. 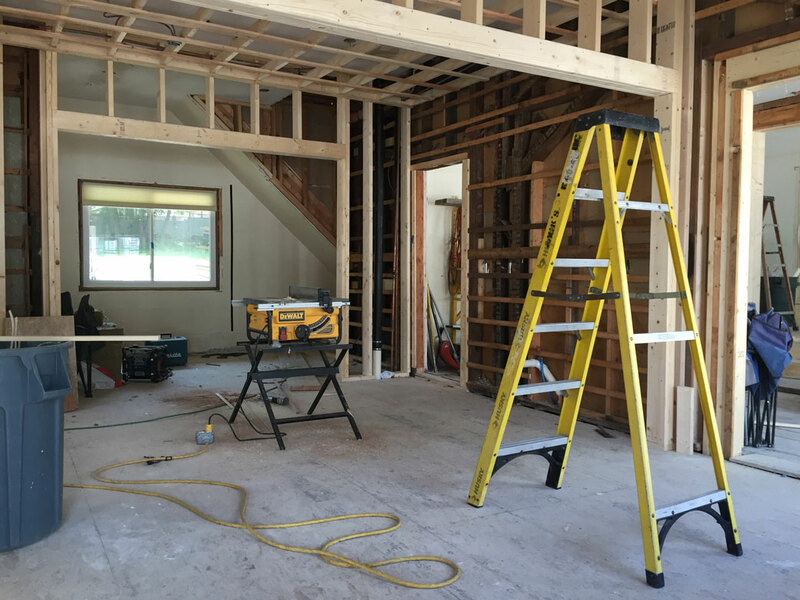 Stay tuned for finished photos later this summer after our clients return from their winter roosts and settle in for the summer in their new spaces. #1. A restored cottage by the sea for oh-so fabulous clients and their daughters. A view to the sea. A view to the Dining Room. An orderly laundry area takes shape. The master shower nearly complete. #2. A chic pool house for long-standing and long-appreciated clients. Walnut trimmed cabinetry in the Kitchenette. Terrazzo countertops in the Bathroom. A glass mosaic floor resembles the pool itself. #3. A historic home designed for a fun loving family who loves to throw a party. 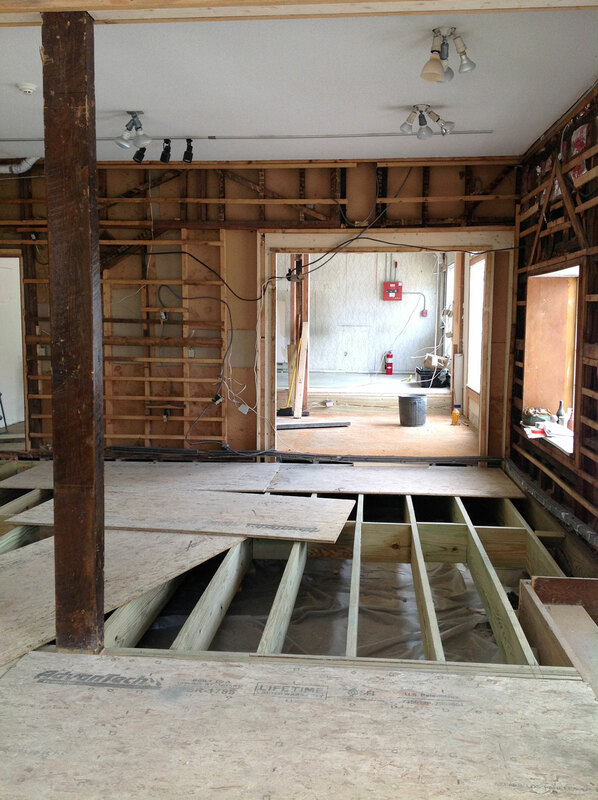 Bricks are carefully laid out and prepared for installation on the mudroom floor. Bookcases are completed and nearly ready for our client’s collection. Next to go in: everything, including the Kitchen sink. Why Take On the Task of Custom Design? As much as I love pouring through my shelter magazines every month and dissecting nearly every design detail of every room shown, my most favorite page is consistently the Editor’s Page. When Margaret Russell, Ann Maine, Clinton Smith or Michael Boodro share their opening remarks, its as though I’m meeting with a good friend for tea and we instantly pick up where our last conversation left off. We get excited about the same topics, giggle at the same jokes and get exasperated at similar daily hassles and joys. Exactly! I couldn’t have said it better myself, so I’m sharing his editorial page with all of you. Rest assured, there is payoff to the (sometimes) pain. As evidence, I’m so fortunate to have dear clients share with me all the reasons why they are pleased they committed to the custom design process — after they’ve taken residence in their newly built or renovated homes. I even have a client who witnesses a joyful moment every day with an interior moulding detail, the scale of a room, the profile of a handrail or an overhang on her windows and then shares these with me. (You know who you are and I adore you.) These moments are the payoff for committing to and sometimes enduring the trials of custom design. But make no mistake, it is a commitment. Custom made requires patience and dedication to creating something uniquely yours that expresses you, fits you and even grows with you in time. (A good design can do that.) It requires collaborating with your architect and designer probably far beyond what you even imagined, to get it right for you. Enjoy Michael’s comments and a few examples of our custom designs – created for and with some of our most favorite clients who enjoy all the benefits of custom made, now that the hard work is done. This traditional kitchen defines “custom”. Details stand out in the island cabinetry and its artful brackets, the glass china display with its sliding doors and diamond fretwork, the coffered ceiling with customized mouldings and the built in wine fridges flanked by a matching paneled freezer and refrigerator. Close up of the custom moulding in the previously mentioned photograph. This Newport library boasts mahogany paneling, built-in bookshelves complete with a library ladder and a handsome burl wood fireplace surround all crafted by Joe Yoffa. taste designed the fireplace screen with our favorite blacksmith Jay Christman, lending a customized and complementary design element in this cozy space. This unique and custom-designed glass shower enclosure frames beautiful marble tilework in this Providence home. Elegant moulding follows the simple curves of the glass wall and soaking tub, making this master bath a spa retreat for the owners. These custom built-in cabinets built by Stephen Demetrick, double as a bookshelf and media storage system. When not in use, the toe-kick drawers and cabinet doors can be closed to seamlessly blend with the paneling running the perimeter of this stately study. A redressed interior as stylish as our clients. There’s never been a better example of taking a cue from your clients’ wardrobe when designing their interior than this project for longstanding Providence East Side clients. Simply stated, he’s dapper and she’s chic. And the interiors of their turn of the century house near Brown University needed to capture their style, intellect and appreciation of art. We started by replacing traditionally patterned wall coverings and area rugs with modernized floral motifs in bold color combinations. Faded wall colors were swapped out for richly saturated hues that beautifully present the art. And dated fixtures made way for refreshing variations on crystal and brass. The result is a composition as rich as our clients are interesting. And one that resembles the collection of hues, textures and patterns hanging in their own closets – for a perfect fit. The metallic accents on the Asian-inspired wall covering in the vestibule beautifully coordinate with the gilded sconces, finished with a black shade. A custom runner by Rosemary Hallgarten welcomes guests in the Foyer and sets the pace for the artful interior. An updated variation on crystal takes the place of the traditional chandelier in the Foyer. The acanthus striped grasscloth continues up to the second floor. A wool & sisal blend runner updates the stairs while bringing comfort underfoot. A classic floral drape in modernized shades of black and gray speaks to the acanthus leaf on the grasscloth. A Wendyll Brown painting takes center stage over the fireplace while a Gretchen Dow Simpson piece to the right is accented by the velvet jewel tones in the Living Room. A custom designed fluted lacquer vanity, finished with lucite legs, brings sophistication and storage to the Powder Room. Wall to wall carpeting in the Library was removed to reveal original hardwood floors. The new area rug and wall color sets the perfect backdrop for a Michael Rich painting opposite the front windows. A Peter Diepenbrock sculpture stands proud in the bay window of the updated Dining Room. Our clients’ Dining Room table – where traditional and modern elements come together to reflect their stylish aesthetic. Many thanks, as always, to the team we assembled to help bring sophistication and style to our clients’ home. 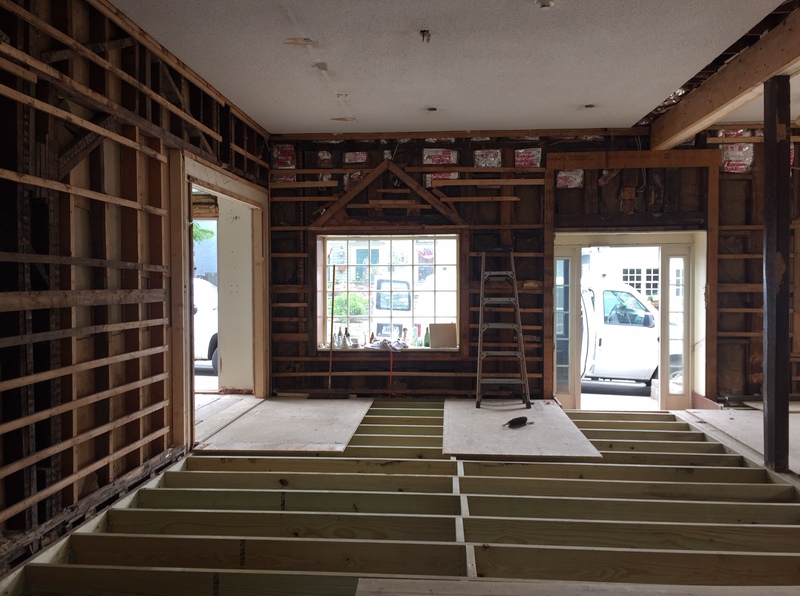 taking shape: a renovation update from 17 narragansett ave.
Demolition of the 1st floor started a few weeks ago with the goal to open up the three distinct storefront spaces into an open studio and gallery of taste’s work. As with any building 130 years old, the crew found a few surprises and treasures. 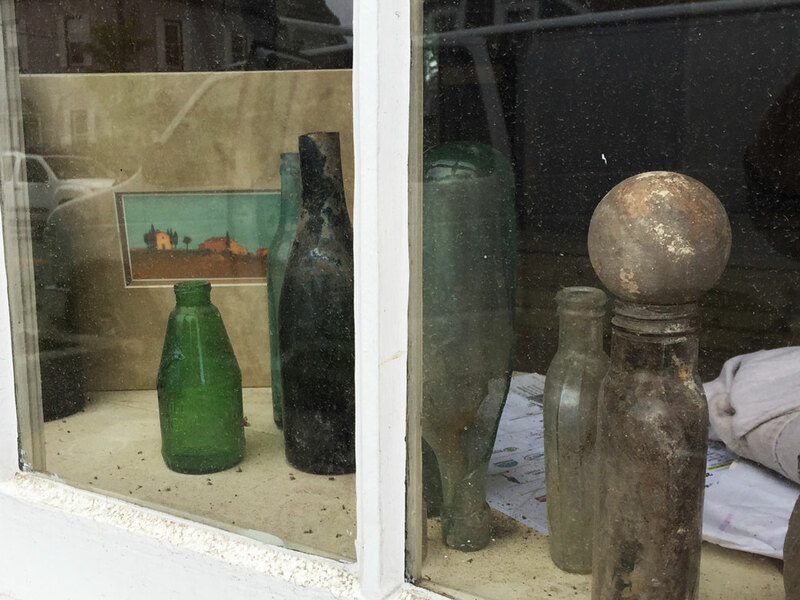 Old bottles, trinkets, toys and even a perfectly preserved possum skeleton (!) awaited discovery under the floor boards. 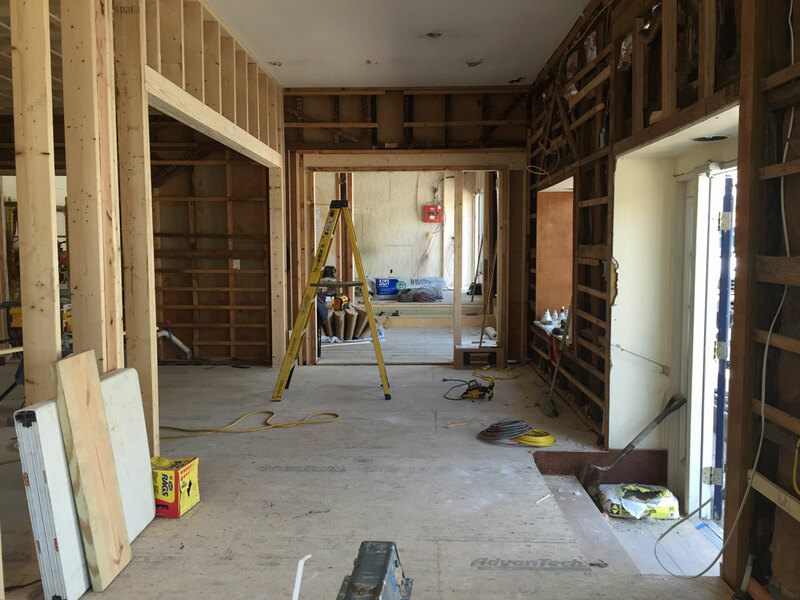 While retaining our open-work environment, the 1st floor space is delineated by framed openings, pocket doors and trimmed beams. Natural light is abundant, with windows on both the north and south sides of the building. The first floor of our new space will feature a gallery of taste’s work, client center, production department and interior design library with workstations bathed in natural light. Upstairs, interior and architectural designers will work together in an airy studio, complete with a deck for those impromptu ideation sessions that call for the benefit of fresh air. Stay tuned for more updates as we prepare for our move in July!